Whether you have a family photography session annually or once every couple of years, your choice to invest in family photography does matter and it is important. Your family portraits bring your family together. It reminds your family of its love for one another. Your family portraits bring joy. And, in hard times, your family portraits can bring comfort and can heal. Did you know the simple act of having your families’ photographs hung in your house increases your children's self-esteem? 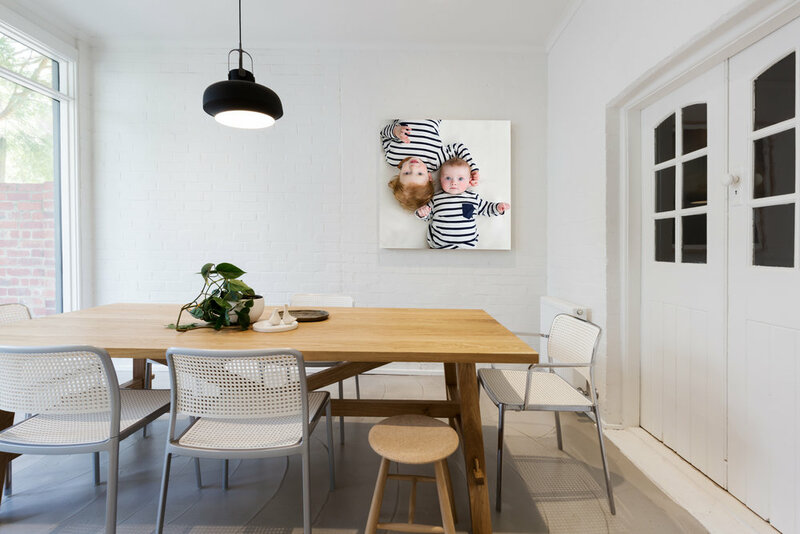 Studies show that having your family photographed and having your loving portraits displayed prominently in your home sends the message that your family is important to one another and that you honour the memories you created together. These days, families are increasingly viewing their images exclusively in a digital form, be it a mobile device, a laptop, or on social media. But does an image on a mobile phone, tablet or computer screen have the same impact for helping families boost a child’s self-esteem? The answer is… No. “My bias is very simple. I think the family photographs should be on the wall,” says Krauss. “I am very conservative about self-esteem and I think placing a family photo someplace in the home where the child can see it every day without having to turn on a device or click around on a computer to find it really hits home for that child's sense of reassurance and comfort. They have a certainty about them and a protecting quality that nurtures a child...” says Krauss. We were so honoured to capture and create this gorgeous 25x50” artwork for this adorable family. We love the positive message it sends to the children and the loving relationship which is shown on a daily basis in this family home. Clients should think bigger than 8x10”. It makes an amazing impact and puts a smile on your face every time you walk by. We thank those who have trusted us to capture and create stunning art pieces for their homes. Although we are not for everyone, we do encourage you to invest in photography of your family, whether it is with Gap Studios or someone else. Click here to read reviews about Gap Studios.